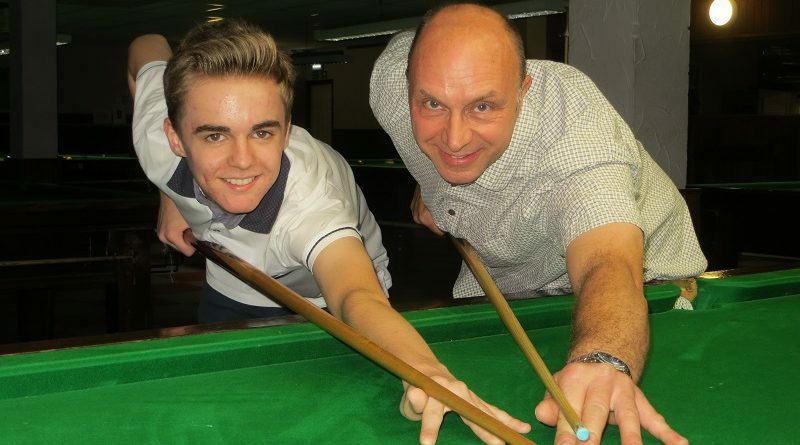 A TEENAGE snooker player from Chandler’s Ford has signed a £1,000 sponsorship deal after tapping up a local plumbing and heating firm. Travelling to events as far away as Leeds is proving to be a drain on the financial resources of talented cueist Steven Hughes. But family-run Aquatec Plumbing & Heating has now stepped in to plug the gap. Company boss Mark Stickland, a family friend, said: “We’ve sponsored football teams in the past so we’re looking at diversifying into something else to try to support young local talent. The additional finance will go towards tournament entry fees, practice time, coaching, travelling and accommodation over the next 12 months. Hughes said: “It’s great to get a sponsor. The 17-year-old has a high break of 75 in competition. He competes on the EASB Regional Junior Tour South and the Cuestars Under-21 Gold Tour as well as turning out for Chandlers Ford Central Club B in the social clubs Super League. Last season, he reached the quarter-finals of both the English Under-18 and Under-21 Championships.